Dunkirk Road now consists of two discrete sections of roadway separated by Clifton Boulevard. Abbey Street used to terminate at the canal bridge (the bridge which now crosses the River Leen) and on the other side of the bridge Dunkirk Road commenced. It then wound its way westwards as it provided access to a number of farmsteads located in both Lenton and Beeston parishes. 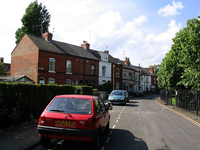 When Frank William Johnson began to develop his Dunkirk estate for building purposes in the 1880s Dunkirk Road was the principal route by which his new residents could access the rest of Old Lenton and beyond. It was quite a narrow roadway and the canal bridge linking it with Abbey Street was equally narrow and of a humped-back design. It took Nottingham Corporation quite a long time to heed the pleas of the local populace for improvements to this route. 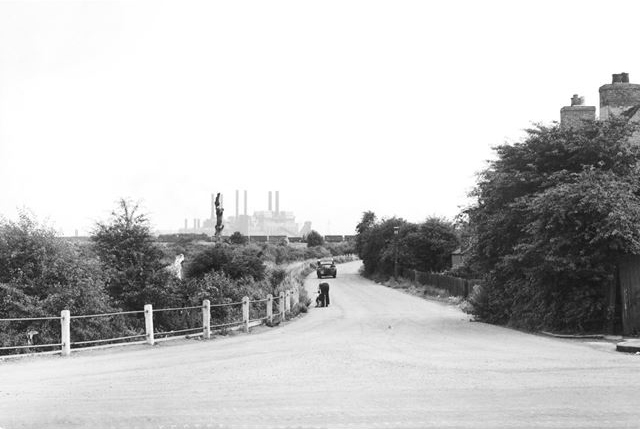 Finally in 1912/13 work got underway to replace the hump-backed bridge with a wider structure while also creating a new section of road that directly linked Abbey Street with Montpelier and Beeston Roads. On its approach to Dunkirk it was constructed on top of part of the old Dunkirk Road and this new section became part of an extended Abbey Street. So anyone determined to travel along Dunkirk Road would find themselves directed back on to this new section of Abbey Street before regaining access to Dunkirk Road as it momentarily headed southward beside an ancient watercourse. This southbound section of Dunkirk Road would later disappear when the embankment was constructed in the early 1960s to permit the extension to Clifton Boulevard to cross both the canal and railway lines. It all means that we have ended up with two sections of roadway, both called Dunkirk Road, which are separated from each other by at least 100 yards. This is the eastern end of Dunkirk Road at its junction with Abbey Street. 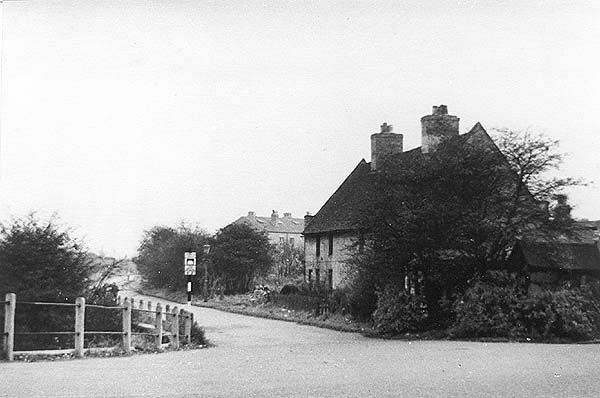 The detached property seen on the left of the photograph is Bridge House. In 1928 Bridge House became the home of the Bird family and in Lenton Times No.22 Jean Bamford (née Bird) recalled her life spent growing up in this particular property. 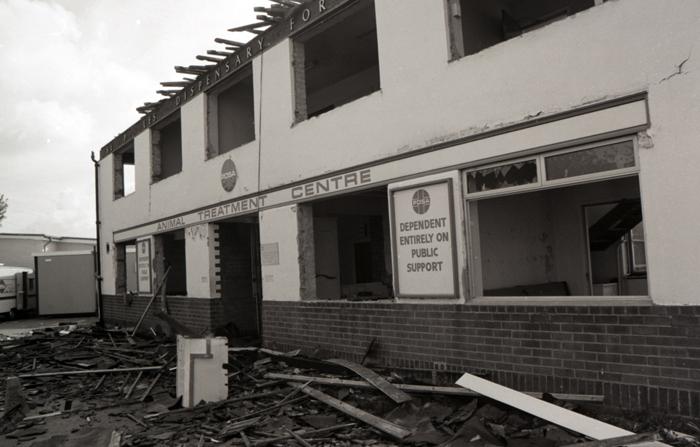 This photograph was taken by Reg Baker in 1976, shortly before the property was demolished, and is one of the images to be found on the Picture the Past website. Click here to learn more. This photograph is of a much earlier vintage than the previous one. 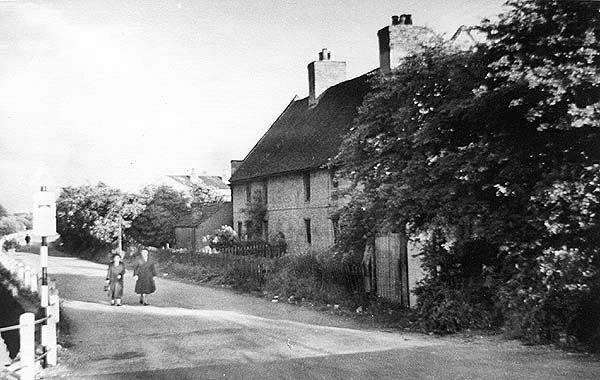 We are looking back along Dunkirk Road and Bridge House is just visible in the distance. 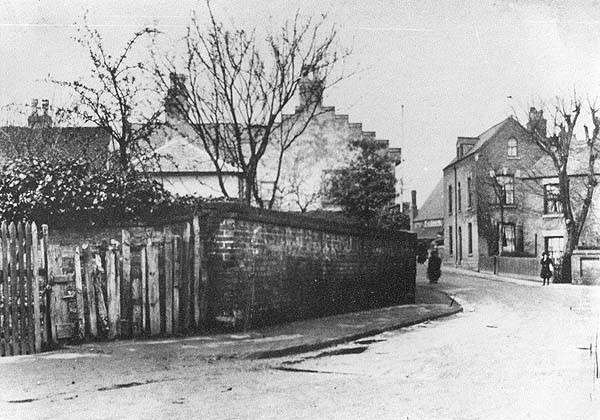 The properties on the left were demolished just before the Great War. This property straddles the junction between Cloister Street on the left and Dunkirk Road on the right. 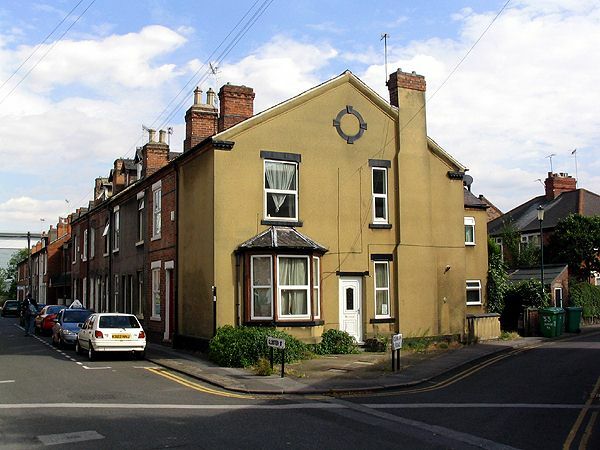 Although it is the first house on the western side of Dunkirk Road it has, somewhat puzzlingly, acquired the number 33. 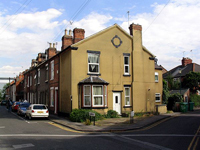 The photograph was taken in 2005 by Paul Bexon. 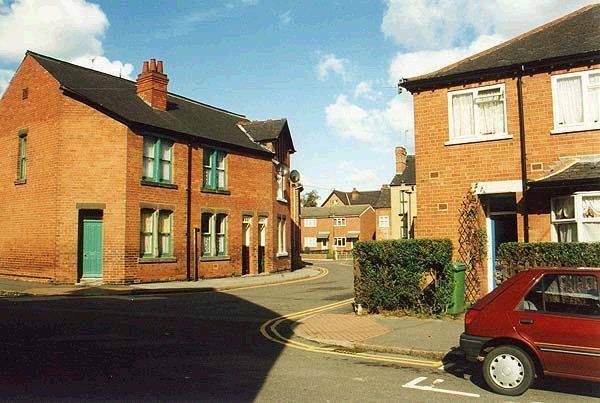 This 1998 view of Dunkirk Road was taken from much the same position as the one above. Off to the right is Warwick Street while in the far distance are the three town houses that subsequently replaced Bridge House. As explained in our initial commentary today Dunkirk Road finds itself split into two quite separate sections. This and the following three photographs show the middle portion of Dunkirk Road that disappeared beneath the extension to Clifton Boulevard out to the River Trent and beyond. On the left-hand side of the road was a watercourse - one of many that criss-crossed the whole area. This particular photograph taken in 1950, is also from the Picture the Past collection - click here for more details. Part of the 'new' section of Abbey Street is visible in the foreground, while we get our first real glimpse of the Barn Houses. This and the following photograph were also taken in the early 1950s. This next photograph offers a slightly better view of the Barn Houses. 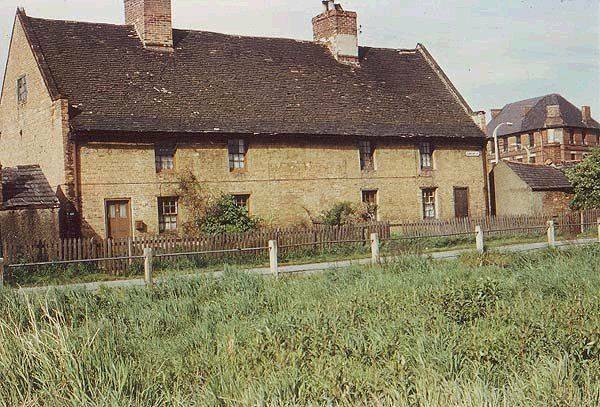 It is believed to have been a medieval building which in later centuries underwent conversion into domestic dwellings. Some believe the original role of the Barn Houses to be a tythe barn originally connected to Lenton Priory. A close-up of the Barn Houses probably taken in the late 1950s. 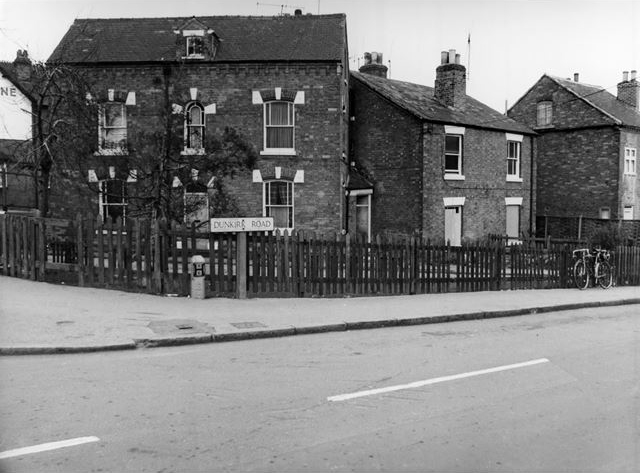 In the distance on the right is the prominent building that used to stand at the head of Beeston Road. 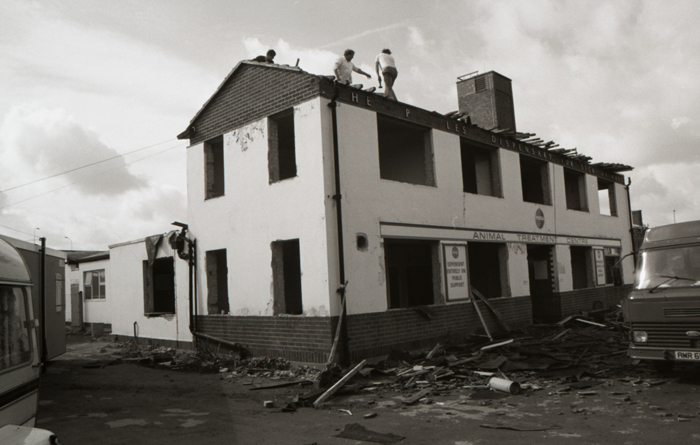 Perhaps in more enlightened times efforts would have been made to save the building and re-erect it on another site but it seems to have been demolished without much local opposition. Pedestrians and cyclists can access the footpath from the walkway under Clifton Boulevard which then passes round the edge of Dunkirk Primary School's grounds and brings you out at the point shown in this photograph. 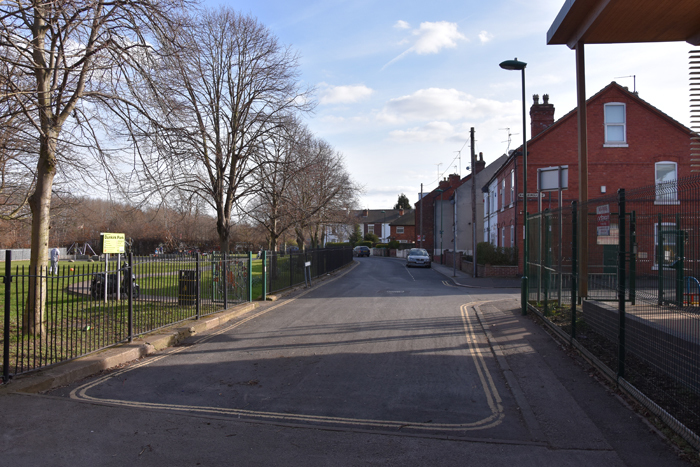 Beyond us on the right are the rest of the houses that make up Dunkirk Road while on the left is the Dunkirk Park Play Area created as a replacement for the recreation ground lost when the Queens Medical Centre was built. 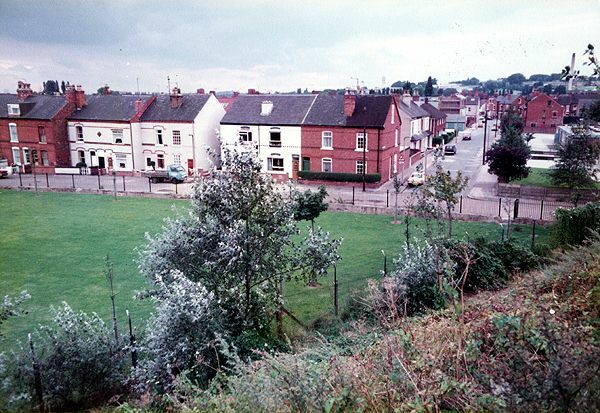 An aerial view of the Dunkirk Park Play Area and this part of Dunkirk Road taken in 1982 from the Clifton Boulevard embankment. The junction with Marlborough Street can be seen on the right of the photograph. Our final shot shows a view looking back along Dunkirk Road with the junction with Claude Street just out of the picture on the left. All the houses pictured would have been built as part of F.W. 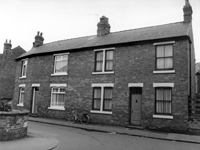 Johnson's late nineteenth/early twentieth housing development. The P.D.S.A. 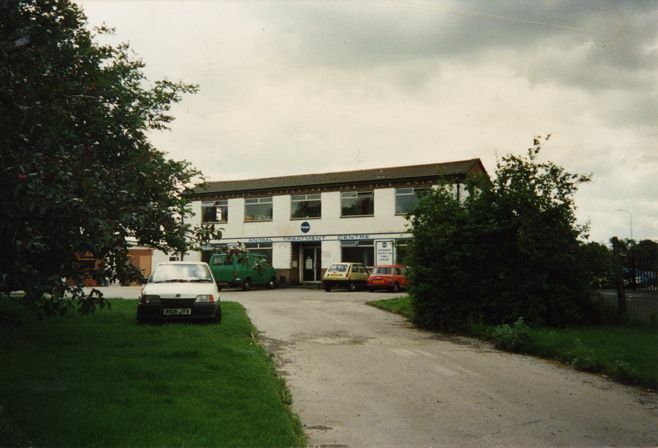 originally started out in these premises on Abbey Street, Lenton on a site not far from Clifton Boulevard. 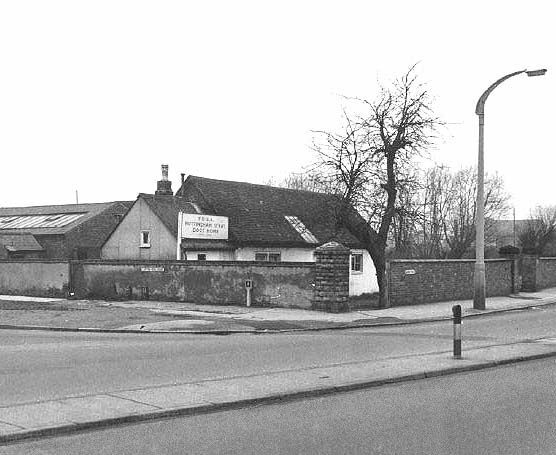 This photograph was taken in early 1960 just before they moved across to their new building on Dunkirk Road. Later on in 1960 the new premises erected on Dunkirk Road were up and running. This photograph first appeared in one of the local newspapers about the time of its official opening. 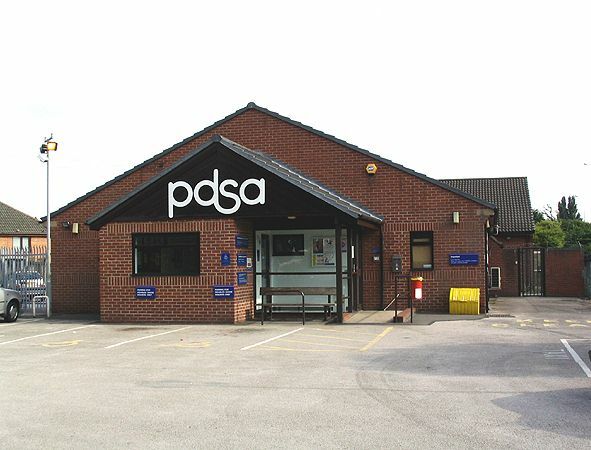 These were purpose-built premises and this was the very first time that the PDSA had ever commissioned a new building rather than modifying an existing property. 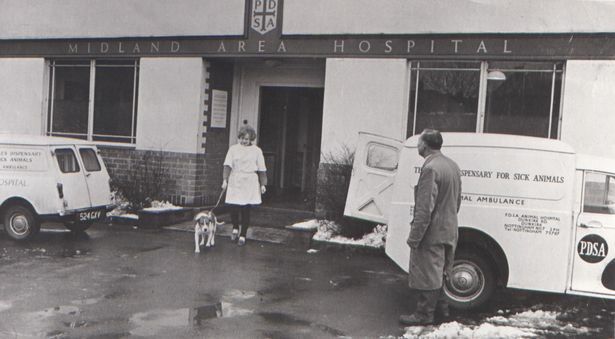 This photograph also shows the new Dunkirk premises and is taken from the PDSA's own official website in a video entitled - Our centenary: 100 years of PDSA. Click here if you would like to access this video. 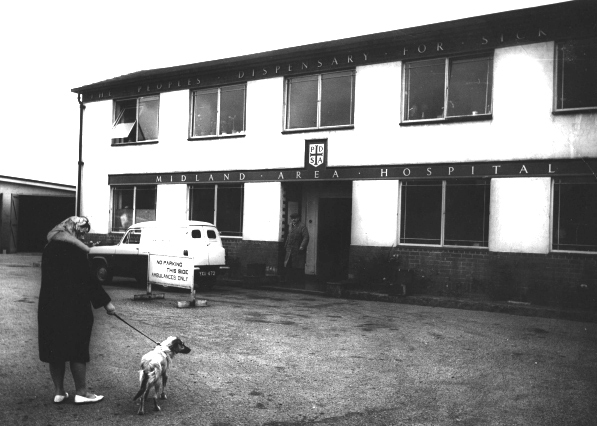 This is a more recent photograph of the building, taken by Glenys Randle in the 1980s, shortly before the PDSA decamped into temporary premises so as to enable the 1960s building to be demolished and a modern replacement built on its site. 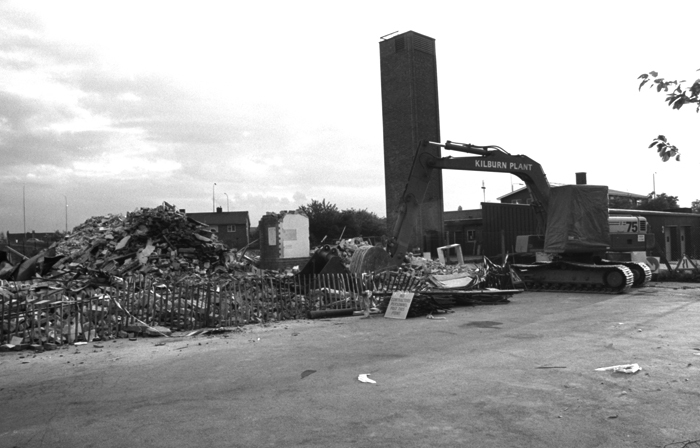 In the mid 1980s the demolition men moved in and began the process of dismantling the building. 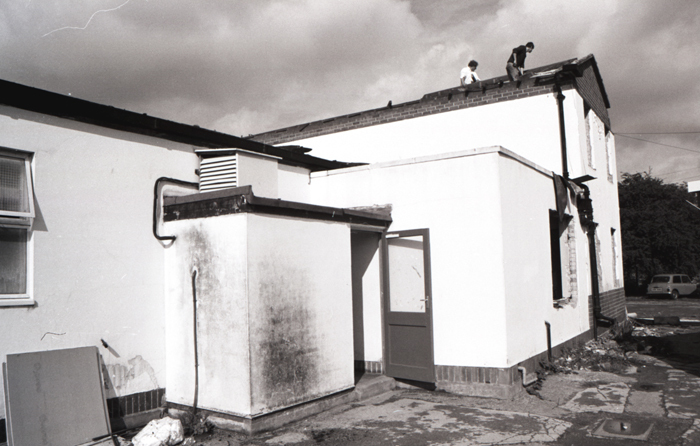 Here a couple of men can be seen working on the roof. A closer view of the building taken much the same time as the previous photograph. Paul Bexon who took all these particular photographs then moved round to the side of the building in order to provide us with some indication of how extensive the old premises were. 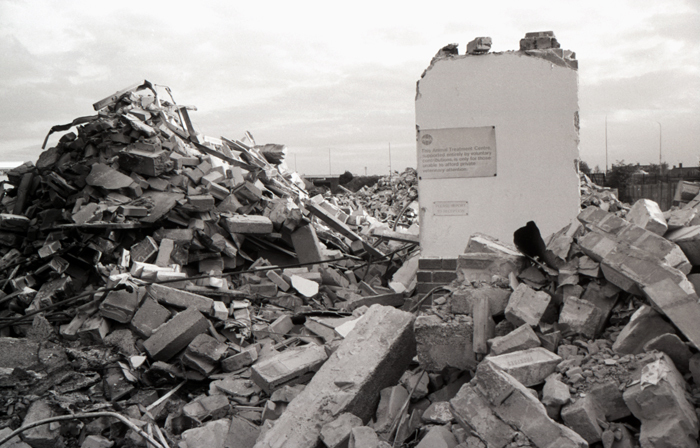 He then returned a few weeks later and the building had been reduced to a few mounds of rubble. The tower in the background belonged to Dunkirk Fire Station, which used it for training purposes. 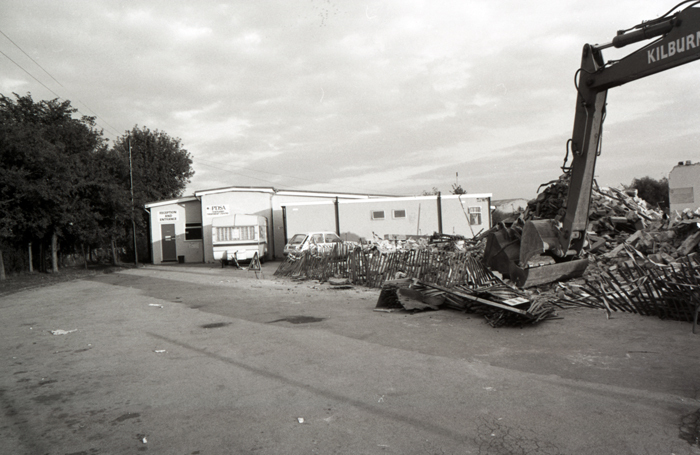 The suite of portakabins pressed into use as a temporary centre can be seen in the last of Paul Bexon's photographs. This 2005 photograph shows the current building - the fourth to be used by the PDSA while they have been based in Lenton.